DPS are proud sponsors of the Yorkshire Legal Conference taking place on the 28th September 2016 at the University of Law in Leeds. This prestigious event gathers barristers and solicitors from across the region to explore the business opportunities available and the possibilities of growing and moving ahead together. 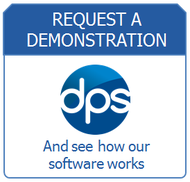 DPS will use the event to showcase their latest solutions showing the efficiencies that can be gained by using the latest legal technology, such as web-based practice management software and mobile apps. DPS will also be presenting a range of products including their practice management software, new mobile apps for remote working and hosted IT solution (dpscloud) which form a holistic IT solution for the modern law firm. The success of a law firm is very much a matter of profitability, and efficient staff management. Mobile devices and remote working have improved the workload management of the firm, allowing legal practitioners to work on the move, thus becoming more productive. At the Yorkshire Legal Conference, DPS will explain how their solutions can arm the practice with the intelligence it needs to operate as a business and leverage the unique opportunities of their region. ‘’Legal software is no longer about simply managing cases and recording financial transactions. Its area of action expanded to include aspects such as resource management and planning, and intelligent reporting which enable decision makers to monitor the health of their firm and make informed business decisions.’’ added Osman Ismail, the Managing Director of DPS Software.